Margie Martyn, Ph.D, MBA has been serving as the Campus Dean of the Chicago Campus since August 14, 2018. Prior to that role, she was President at Harold Washington College, one of the City Colleges of Chicago since June 2014 after serving as Vice President of Academic Affairs and Chief Academic Officer for Harold Washington College since 2012. 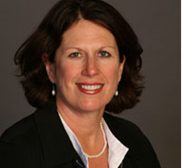 Prior to that, Dr. Martyn served as Vice President of Instructional Systems and Dean of Online-Blended Programs at The Chicago School of Professional Psychology where she oversaw Academic and Student Affairs, assessment​​ and operations for Online-Blended Programs and managed instructional technologies and pedagogies for all campuses. She also oversaw assessment, international programs, and online learning as Assistant Dean of Academic Administration in the College of Computing and Digital Media at DePaul University. Dr. Martyn has experience as a full-time faculty member at Baldwin-Wallace University, and as a part-time faculty member at the University of Akron, DePaul University, and Harold Washington College teaching both graduate and undergraduate courses in adult learning, computer literacy, mathematics literacy, liberal arts and sciences, management, telecommunications, networking and college success. She has published articles on the impact of technology on student learning outcomes and engagement. Her most recent research studied the impact of social media on student learning. Dr. Martyn is a peer reviewer and Chair for the Higher Learning Commission, a regional accreditor in the Midwest region.